Christnas is just three days away and it’s almost the last stop on the Lakewater Press holiday blog hop. Between December 1 and the 24th we’ve been sharing holiday interviews with the Lakewater team of authors and staff. Hopefully you’ve enjoyed getting to know us better and, perhaps, we’ve tempted you to try some of our books. Don’t forget to enter the holiday giveaway at the bottom of the page. What are your chances of having snow on Christmas Day? Hopefully, slim to non-existent: other parts of the UK (Scotland, for instance) often get snow in December but, thankfully, it’s fairly rare in my part of Yorkshire. I understand the bookies have offered odds of 4/5 on a white Christmas but it’s not a bet I’m prepared to risk. Egg nog: Yes or No? Hmmm…egg nog is not very big in the UK although we do have an Irish cream liquer which is similar but not as virulently yellow. It can be drunk neat at room temperature or some people like to add it to their coffee. I prefer it in a long tumbler, chilled with a couple of ice cubes. Oooh, I wouldn’t mind a glass right now. Are you an artistic gift wrapper or a basic “paper & tape” warrior? Definitely a warrior rather than an artist. Prettily wrapped gifts are a joy to behold but, honestly, I just can’t be bothered. Life is too short to stuff a mushroom and it’s also too short to fiddle around with Christmas bows and ribbons. Do you have any special holiday memories that include books? Are there any specific titles you remember? Books are a very personal thing and, I think, a difficult gift to get right. One woman’s good read is someone else’s charity shop donation. Take Great Expectations by Charles Dickens, for instance, which I was given as a child. Please, take it: I still think it’s a huge shame Magwitch didn’t bop Pip on the head and spare us all the agony of his interminable wittering. What is your earliest book-related memory? Well, my earliest memories of reading are at the breakfast table: corn, sugar, salt, niacin, riboflavin, thiamine…the contents of a packet of Corn Flakes. Otherwise I loved almost anything by Enid Blyton – wouldn’t you have liked to be a pupil at Malory Towers too? I also enjoyed Noel Streatfeild (Ballet Shoes, The Painted Garden), Jane Shaw (the Susan books) and Elinor Brent Dyer (the Chalet School series). As I got older I started to read some of the books on my dad’s bookshelves – Erle Stanley Gardner (Perry Mason), Agatha Christie (Hercule Poirot and Miss Marple) and Nevil Shute (The Chequer Board and A Town like Alice). My first Christie read was Sad Cypress, which I still regard as one of her best murder mysteries. And Susan and I are in the early stages of drafting the final instalment of our Friends trilogy. What are your goals for 2018? Professionally, I want to get the Friends trilogy wrapped up and then to knock the murder mystery into shape. I like the characters we’ve created – they have a lot of potential for development but I’m not sure we’re making the best use of them. So, there’s food for thought there. I also want to work on my short story writing and I’d like to do a bit of freelance journalism too. Personally, apart from planning a trip to Australia to visit my youngest daughter, a couple of camping holidays in France and a spa trip with my eldest daughter I’m open to suggestions. Any ideas? 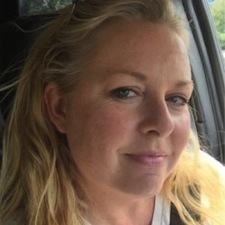 Christmas is just five days away and on the Lakewater Press holiday blog hop it’s time to say hello to assistant editor Samantha Alban, who writes as SC Alban, and shares her Californian home with her family, three cats and three (terribly) lazy guard dogs. Don’t forget: read to the end to enter our holiday giveaway. Do you have any favorite holiday traditions? I love setting up the train around my Christmas tree. Last year I even bought liquid smoke for it! I was heartbroken when it broke down and I spent days trying to troubleshoot and fix the problem. Today the Lakewater Press holiday hop features one of our newest signings Sam Boush. 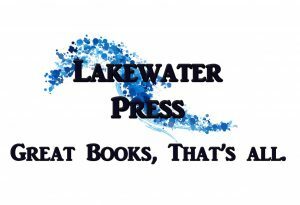 It’s the eight day of the Lakewater Press holiday blog hop and we hope you’re enjoying these introductions to the team. We’re a diverse bunch spread across Australia, the United States and the UK. 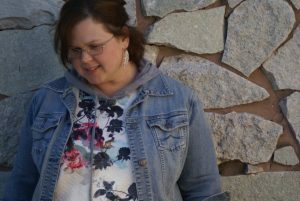 Today the spotlight is on Oklahoma-based RL Martinez, author of the magical Witchbreed fantasy series and one of the first authors to sign to Lakewater Press. Book one In the Blood was published in 2016 and book two Beneath the Skin followed earlier this year. The Christmas countdown continues with day six of the Lakewater Press holiday blog hop. Since the beginning of December we’ve been sharing holiday interviews with our authors and Lakewater Press staff. It’s an opportunity for us to get to know each other a little better, as well as giving our readers a peek behind the scenes–or pages. Today’s interviewee: Mia Kerick, a YA author of LGBTQ fiction. Hello everyone: I’m looking forward to the Lakewater Press release of All Boy in October 2018. I can hardly wait! (Not particularly patient here.) I LOVE my characters Jayden and Callie. Their story needs to be told. 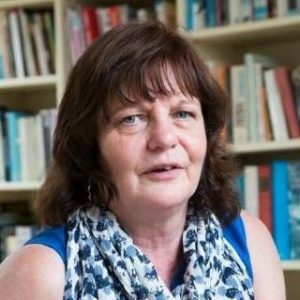 As the countdown to Christmas continues, Lakewater Press introduces another member of the team as we continue with our holiday blog hop. Between December 1 and the 24th we’re sharing holiday interviews with our authors and the Lakewater Press staff. It’s an excellent opportunity for us to get to know each other a little better, and to give our readers a peek behind the scenes–or pages. What are your chances of having snow on Christmas Day? Well, absolutely zero if I stay home. Christmas is during the summer on this side of the world which means hot, humid, and delightful. Back in England, where I lived in the south east of the country until my mid-thirties, it snowed once on Christmas Day; otherwise it was cold, grey, and drizzly. Do you have any favorite holiday traditions? Christmas Day has changed a little for me since moving to Australia. Christmas is just over two weeks away and at Lakewater Press we’re on day four of our holiday blog hop. Between December 1 and the 24th we’re sharing holiday interviews with our authors and the Lakewater Press staff. It’s an excellent opportunity for us to get to know each other a little better, and to give our readers a peek behind the scenes–or pages. Perhaps you’ll even find a new blog to follow, or your next favourite book.